Because of the confusion, the ‘real’ Neda Soltani in the photo can no longer use her Facebook page or display her photo, and has fought an uphill battle trying to get individuals and the media to stop using it. Here’s a list of people who in celebrating/ jumping on the bandwagon/ mourning the death of Neda Soltan renamed her Neda Soltani. Neda Soltan belongs to the media now, and so do Neda Soltani, Nada Agha Soltani and many others. Some of these caring organs listed below just get her name wrong, other get the name and the picture mixed up. Ynet – Iran report: Security forces open fire at protesters. Many were wearing black bracelets in memory of Neda Soltani. International Business Times – Iran state media blames BBC for Neda’s death. This week the world was given what some have called its first “YouTube martyr” after Neda Agha Soltani was shot dead and her final moments caught on camera. 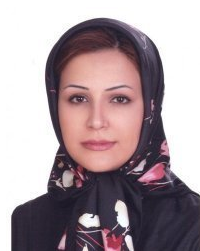 The video of Nada Agha Soltani being unjustly shot by one of the Basij (Iran’s Revolutionary Guards) went around faster than the shot heard around the world. Mirror.co.uk – Iran protests marytr Neda Agha-Solanti becomes freedom slogan for … One described Neda Agha–Soltani – shot dead by security forces as she protested on the streets of Tehran – as “a joyful beam of light”. MiamiHerald.com – The world witnessed the killing of Neda. Iranian light candles in front the image of Neda Agha Soltani, who was reportedly killed when hit by a bullet during a protest in Tehran, in Dubai. The authorities are acutely aware of the threat posed to them by Neda Soltani’s killing. UK Express – ANGEL OF IRAN ‘WAS TARGETED BY HIT SQUAD’. Caspian Makan, 37, said Neda Agha Soltani, 27, was singled out by Basij paramilitaries in civilian clothing at an election protest rally. Socialistworker.co.uk – Iran repression: a regime in crisis. Some 30 are said to have been killed, including 26 year old student Neda Soltani, whose last moments were captured on a mobile phone camera. Economist – High stakes. Further clashes may well result in more gruesome scenes like the one of a young woman, Neda Soltani, dying after being struck by bullet. National Review Online – The Obama Effect?